Fantasy meets reality and will be the best gift for every woman on your list. The majesty of possibility brought to mind by a white topaz gemstone that gloriously fills the incredible 14K white gold band is endless. 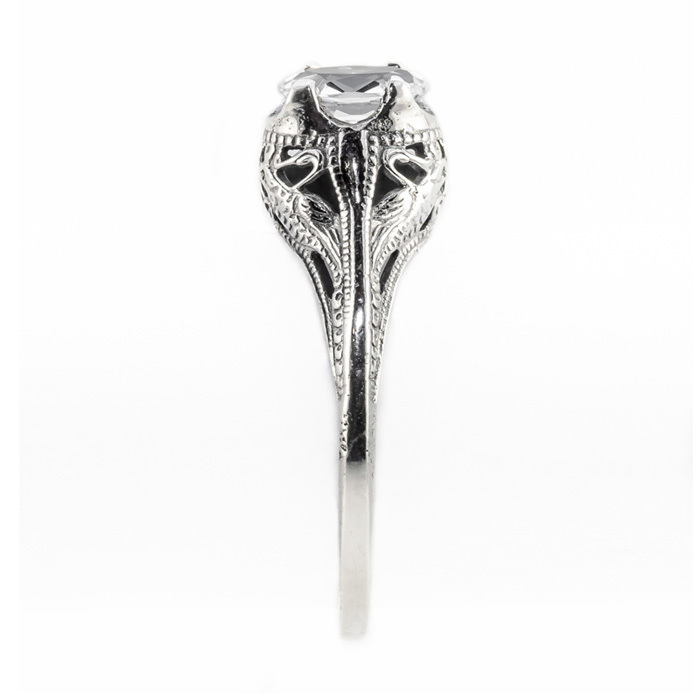 This Apples of Gold swan design ring is brimming with perfection. Oval in shape and measuring 7mm x 5mm, this elegant combination of white gold topped with a regal white topaz are a royal pair. A unique gift that can be worn year round. 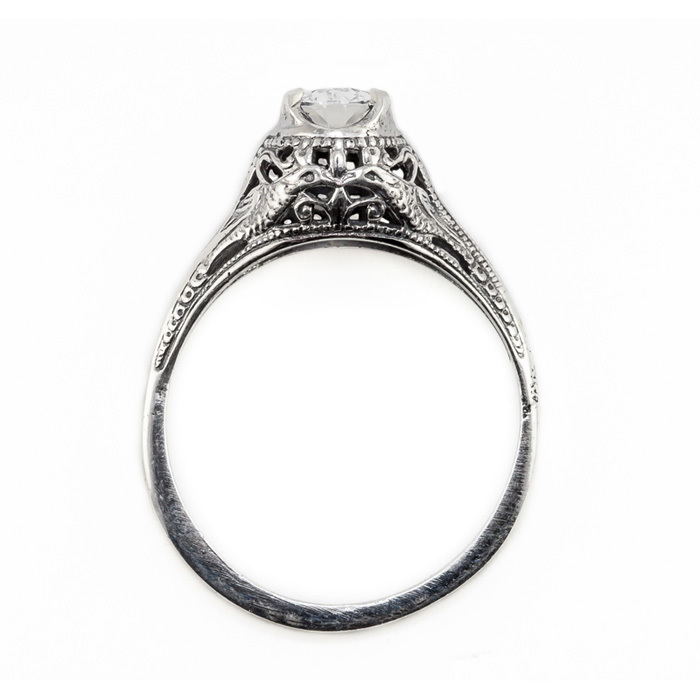 When you are shopping for the person who has everything, this stunning piece of jewelry is the perfect choice. 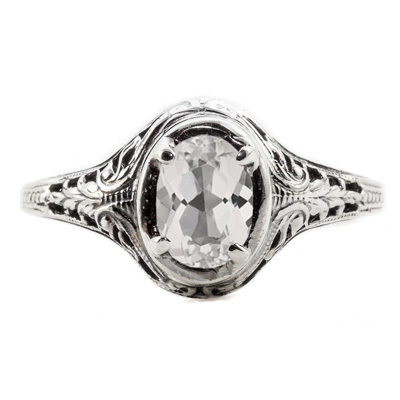 We guarantee our Swan Design Vintage Style Oval Cut White Topaz Ring in 14K White Gold to be high quality, authentic jewelry, as described above.